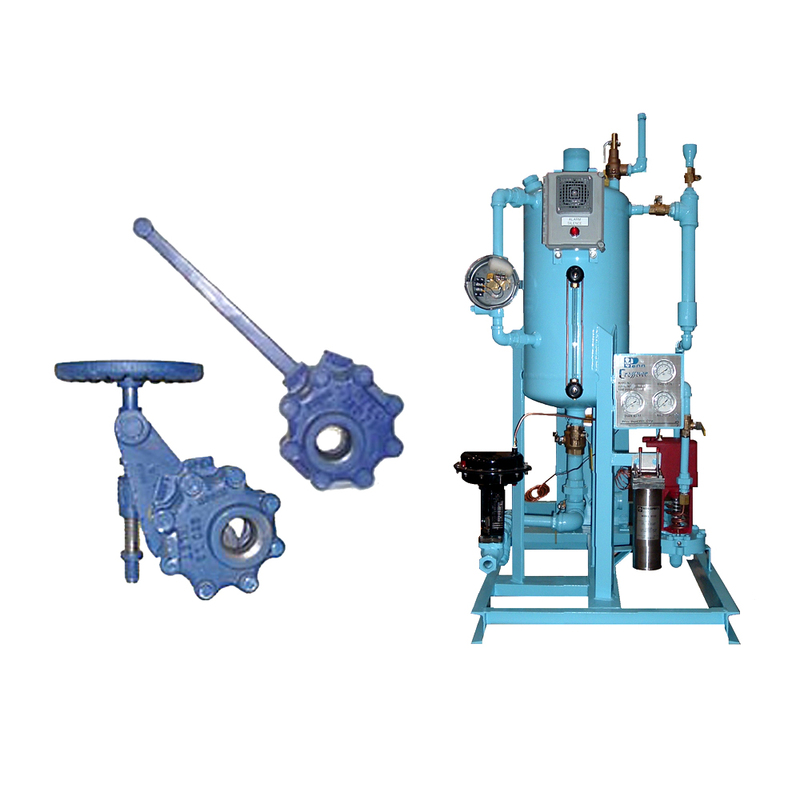 Boiler Blowdown Systems – Messplay Machinery Co.
Boiler blowdown systems provide a means to remove sludge and maintain proper TDS/conductivity levels in modern steam boilers. Everlasting Valves allow for manual blowdown to release suspended solids that have accumulated in the bottom of firetube or watertube boilers. Penn blowdown separators receive the boilers bottom blowdown flows to safely cool and discharge the concentrated water to drain. Penn Heat Recovery Systems handle regulated & continuous blowdown flows in order to recover flash steam & waste heat prior to discharging to drain. Messplay Machinery Company provides true modulating continuous blowdown control to maintain very close limits of TDS/conductivity in your boilers. Blowdown flow is always just right, never too much or too little. This maximizes heat recovery and keeps thermal shock to a minimum, which helps to extend equipment life. The system can be used on any boiler brand, type or size.